LONDON, UK / ACCESSWIRE / November 12, 2018 / An organization is dependent on several factors for its success. One of the main elements that can help contribute to the accomplishment of a company's purpose is its organizational design. Yet, often times the impact of the organizational design is overlooked and falls victim to outdated values. The road to mediocrity. The combination of a scenario where an organization stymies creativity through centralized top-down decision-making will over time create a workforce that is mediocre in terms of overall quality and core behaviors. The high potentials will leave the organization, frustrated because of their lack of ability to influence to company's decisions and direction. At the same point in time, the company – through its performance management tools – will decide to part company with the worst performing co-workers. In balance, those who will survive in the long term are those who never challenge the status quo, who are risk adverse and non-inquisitive. 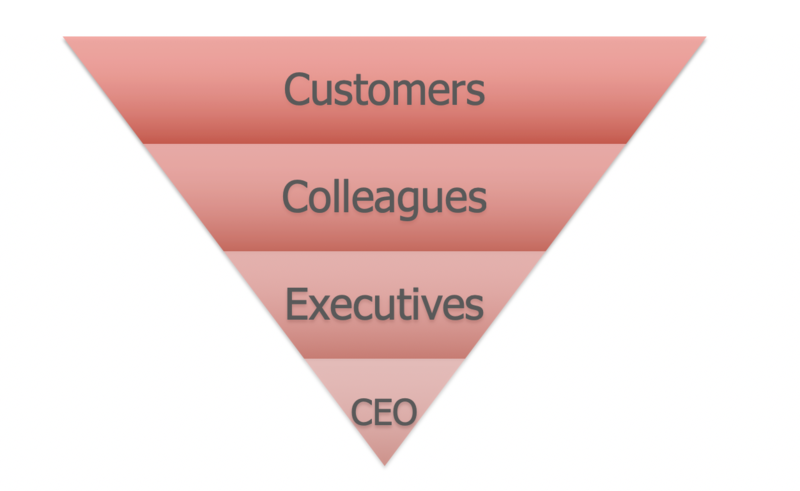 In organizational structure, which can best be described as "the inverted pyramid", customer and customer-facing colleagues are viewed as the most important asset of the company. As we go down on the pyramid, we see the executives all the way at the bottom, as an indication of the reality that their primary task is to serve the organization and all of its constituencies.